How are you doing on this Friday in your part of the world? It has been so cold here again, that we need something really vibrant for a card today. 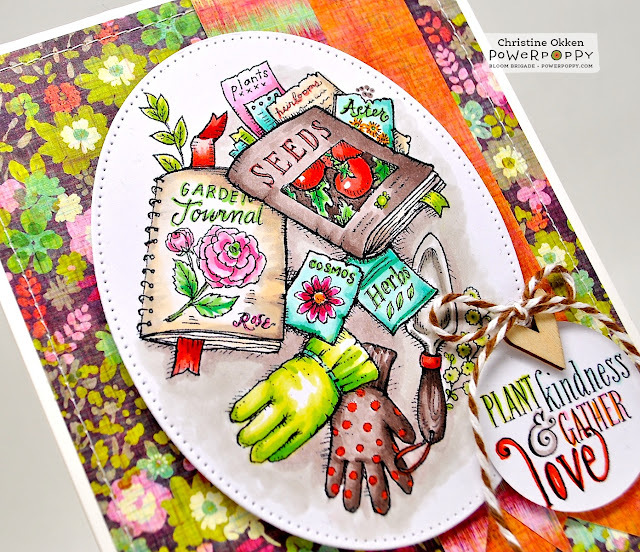 I pulled out one of the CardMaps Sketches from Becky Fleck and a great digital image from Power Poppy called Plant Kindness. 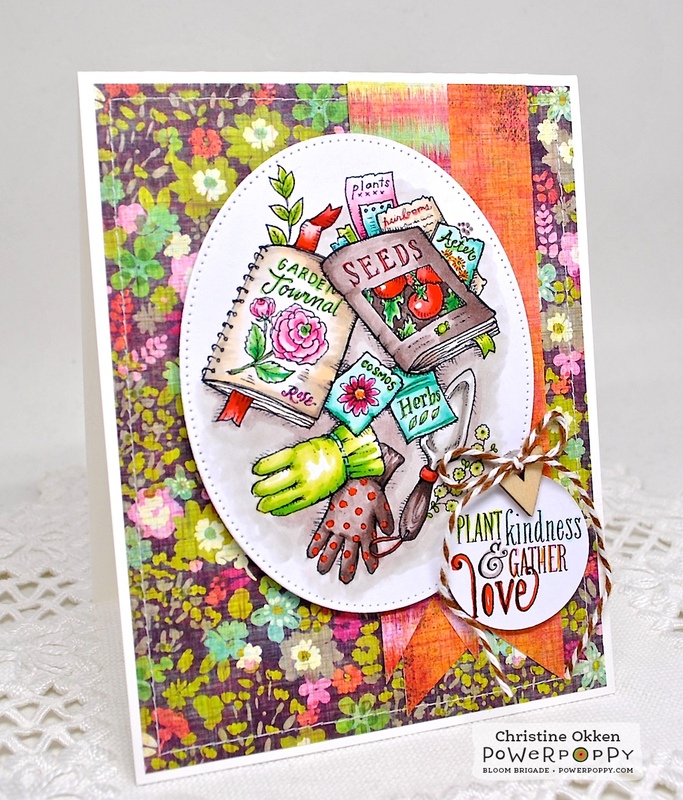 I’m making a series of cards for my sister in law and one of her requests was for gardening cards. She has a massive garden and always plants new and interesting vegetables each year, so this image is just perfect for her! I found a few great sheets of older designer paper that had a really wild print on it and thought it would make a perfect map for my colouring and a backdrop for the image. Here’s the CardMaps Sketch I based it off of, I just used an oval rather than the circle, so that adjusted all the other panels too. A little wood veneer heart and some twine finish it off. Don’t forget that you can enter our Power Poppy Power & Spark Challenge this month to Grab a Map from one of Becky Fleck’s CardMaps this month. Enter at the Power Poppy Blog and you could win a $50 shopping spree to the Power Poppy store! 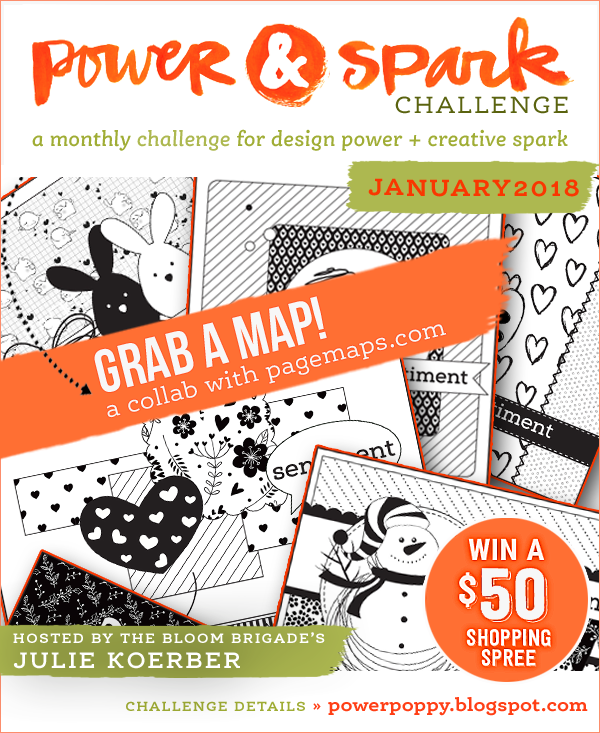 And you can also enter just by commenting on the CardMaps Blog for a $25 shopping spree! Lots of ways to win this month. I love this "Map page too". Your card is amazing and so colorful Great job with the design. Beautiful, so much detail. I love this sketch too and it the one I picked. 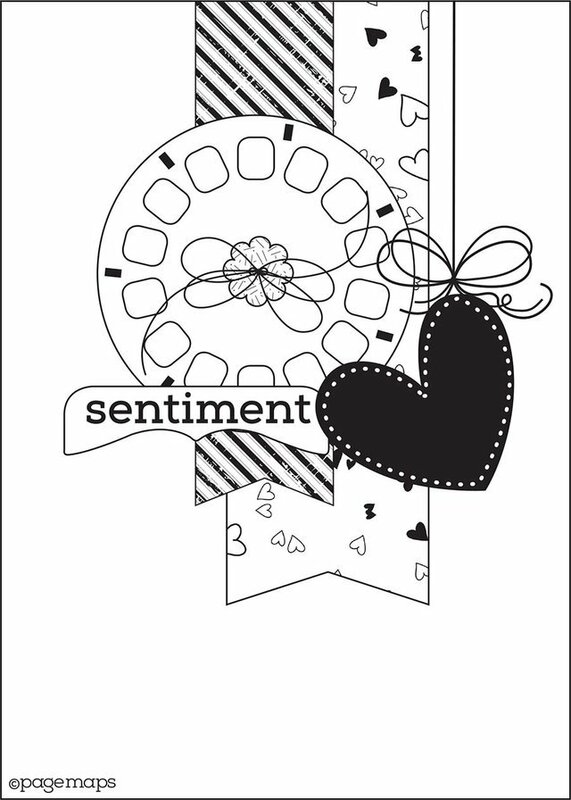 Working on card to post for this challenge. I love your card, Christine! I am also an avid gardener, and love to stamp and color flowers and other garden-related things. Great colors, and a sure way to brighten up a cold season! Beautiful, Christine! Oh, my, the paper and all that wonderful color -- I love it! Love the sketch, too. Divine! Awesome card, Great sketch, awesome colors! You are amazing! Another wonderful card!